During a testimony to the Senate Select Committee, regarding the potential peace agreement with the Taliban, CIA Director Gina Haspel said “a very robust monitoring regime” would be essential in Afghanistan and the US needed to retain the capability to act in “national interests”. 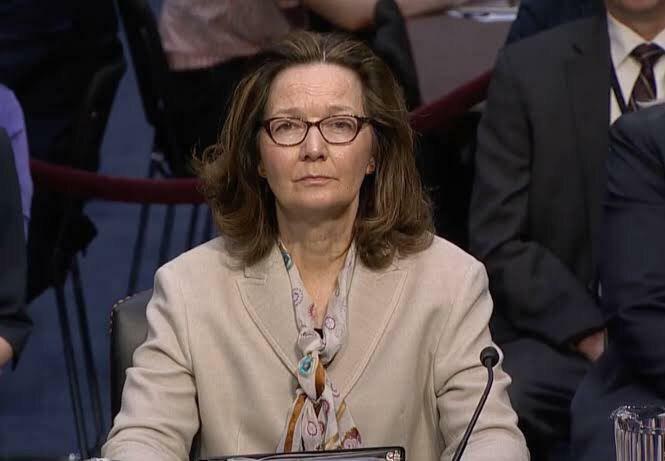 “It’s very important that we maintain pressure on the terrorist groups that are there and so if there were an eventual peace agreement a very robust monitoring regime would be critical and we would still need to retain the capability to act in our national interests if we needed to,” Haspel added. She was responding to a question from Senator Angus King, who asked whether the US could trust an agreement with the Taliban. US special envoy Zalmay Khalilzad was quoted Monday as saying the US and the Taliban have drafted the framework of a deal which could pave the way for peace talks with Kabul. “Mr Khalilzad, our envoy to Afghanistan, has said that part of the basis of the current talks with the Taliban is that they would prevent Afghanistan from ever becoming a platform for international terrorist groups and of course that was the basis of our original intervention,” King said. “Do we believe them? Are they capable of that? Did they learn something from having given safe haven to Osama bin Laden? Do we believe that there is a mindset change that that could be an enforceable or at least a reasonable expectation?” King asked. Haspel said the peace talk is a result of Khalilzad’s intensive efforts over many months now but particularly over the last eight days in Doha where he has been engaged in talks with the Taliban to achieve a framework, and the results were “progressive”. Haspel and other leaders of the American intelligence community appeared before the committee to testify on World Wide Assessment of Threats in 2019. Earlier, Dan Coats, Director of National Intelligence said that his assessment is that neither the Afghan government nor the Taliban will be able to gain a strategic advantage in the Afghan war in the coming year, even if coalitions support remains at current levels.